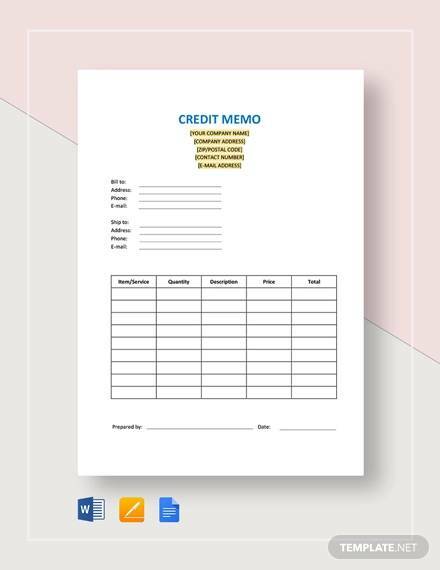 The purpose of credit memo is to increase the awareness of the involved people regarding financial status or any issues when it comes to credit. This is common among business establishments to ensure the right and same process of money matters and the content is almost similar to sales invoice. It is usually an internal account in the management of the company. 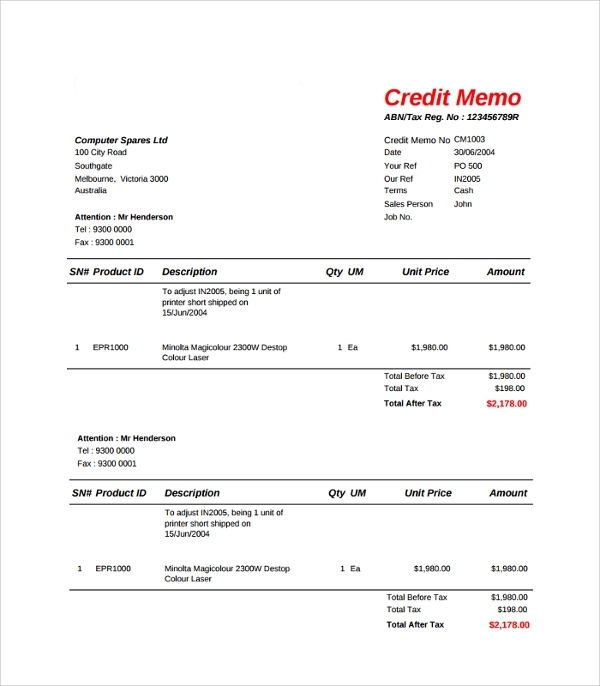 The template for Credit Memo Templates provides a beautiful and professional invoice in an Excel format. 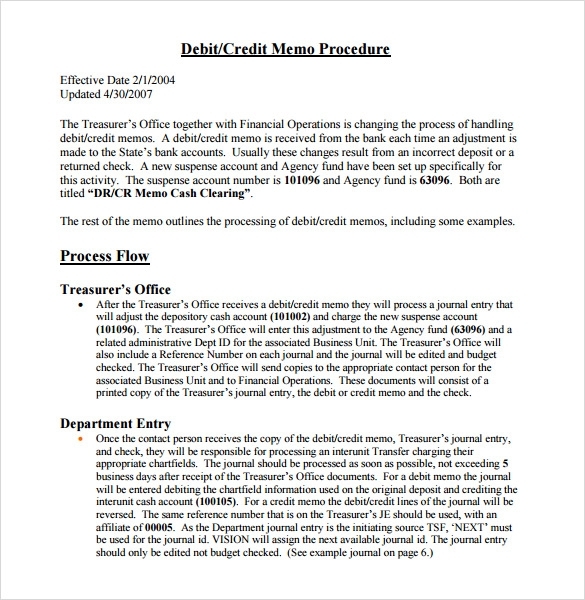 The examples in the memo template are downloadable in a format preference. These examples are free and can be immediately customize by filling out the blank spaces provided in the sample. 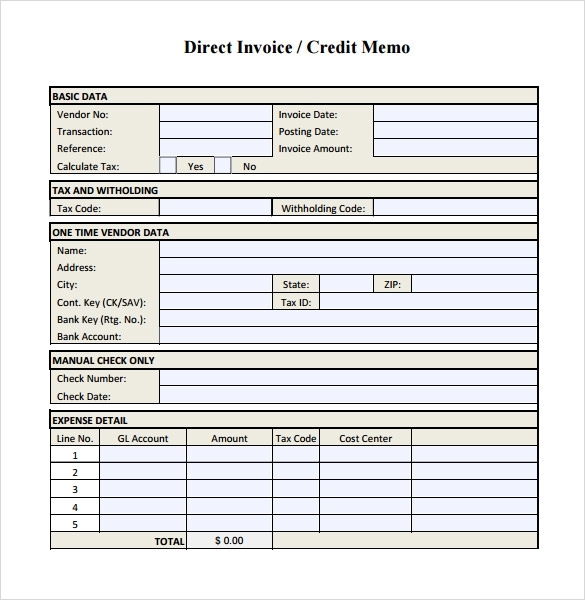 With this template, anyone can create by means of computer based accounting. You can also see Sample Memo Templates. 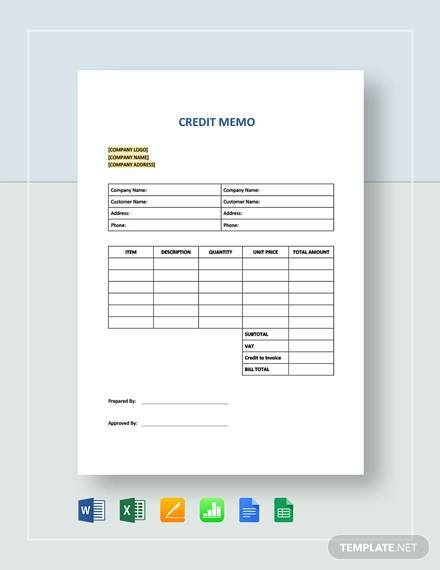 This credit memo template is one of the most effective formats that can support a great credit memo. The sample design is very simple and effective and also can hold and exhibit a huge array of information. 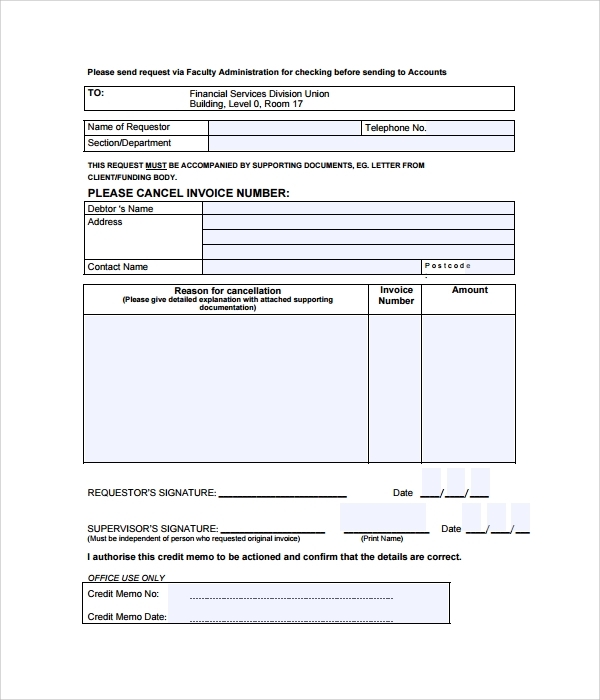 The design can support the information of the invoice number, the name of the customer, his or her number and also the reason for request. The template is supported by the language of English. This theme depicts a huge array of information. It can support extra pages that can be used to make a detailed report. The theme is super formal in its tone and the language is easy and simple to understand and follow. The template has a table or a grid pattern. The user can feed in information details with a lot of ease and simplicity. All ready existing information can also be changed and edited with ease and simplicity. 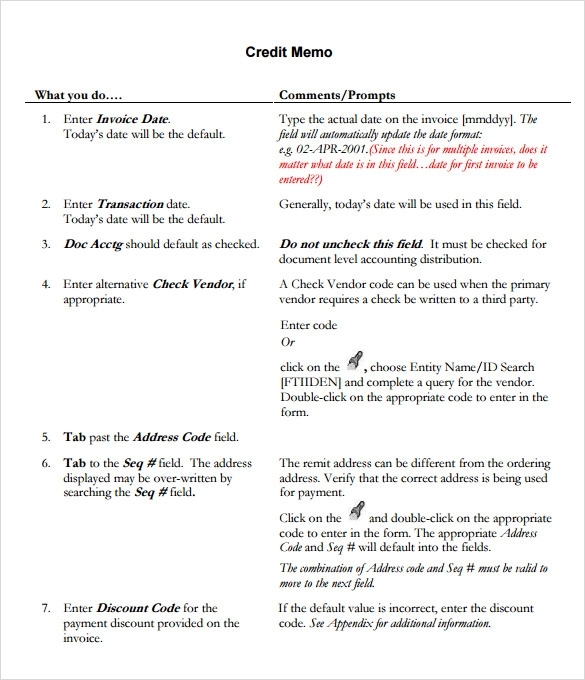 What are these Credit Memo Templates? 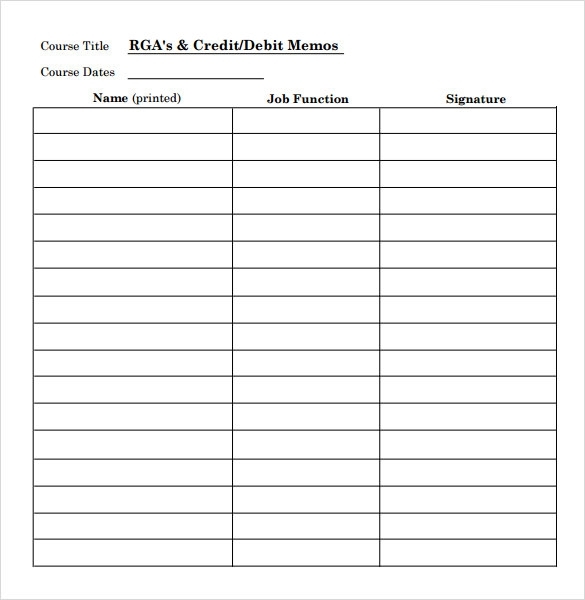 Who can use these Credit Memo Templates? 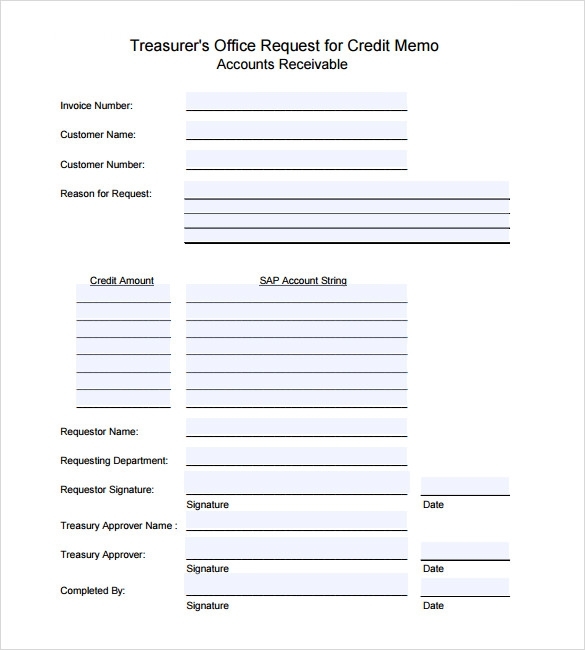 These templates can be used by the people of the finance and the accounts department. The structures of the templates are highly generic. As a result of the same we see that a large number of people can make an effective use of these templates. 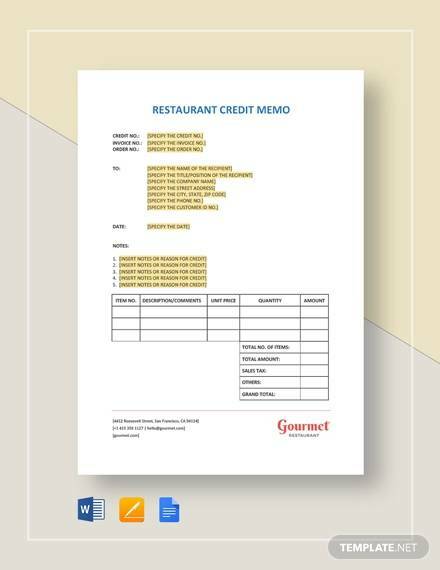 Justas they can be used for credit memo they can also be used for raising sales invoice. However the nature of use shall be very much finance and accounts oriented.You can also see Sample Army Memos. 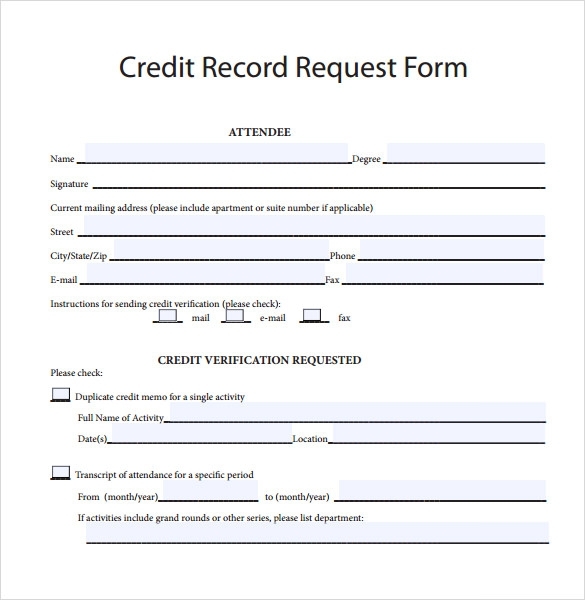 The templates have a super formal and professional format. As a result any number of even types of corporate organizations can make an effective use of the said templates. The templates are written in the language of English. The choice of the language happens to be very simple. Hence people who are not well versed with the language can also make a good and effective use of the templates. The templates have been provided with a wide array of technical features. As a result the user can have an effective and strong control over the templates. The user can change and edit the templates with ease and super comfort. The templates can also provide a very good quality of printouts. The themes are perfect for corporate and formal use. 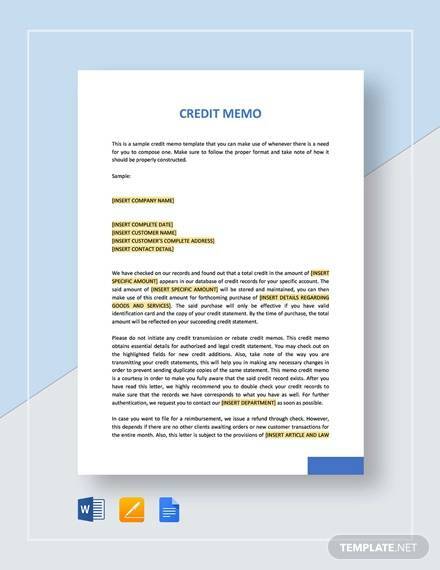 The credit memo templates are formats that can be used for the purpose of generating some of the most effective format of credit memo. These designs can make a person a lot more effective and also productive. The themes can be downloaded in the form of word document, PDF and also PSD. You can also see Blank Memo Samples.